The cooler climes of winter bring quieter times to the pristine lakes and rivers of Southern Oregon. Water-skiers have long put up their skis, rafters have deflated their crafts until spring. With fewer people on the water, it’s a great season for anglers to wet a line. Southern Oregon has long been recognized as home to some of the world’s most revered winter steelhead fisheries — river names such as the Rogue and Umpqua bring shivers to the casting arms of many a fisher. Good trout fishing and ice fishing are also in season in winter. So put on an extra layer of fleece, don your best rain jacket and head out to a few of our favorite fisheries. In winter, the Umpqua watershed means steelhead — some of the healthiest winter runs in Oregon. The Umpqua offers three fisheries: the mainstem Umpqua, the South Umpqua and the North Umpqua. 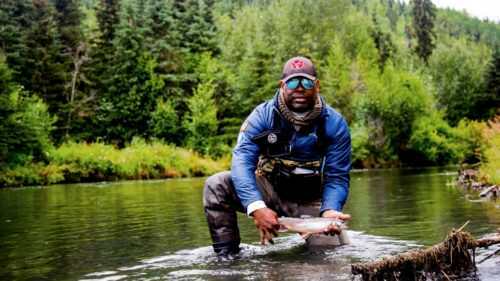 In the mainstem Umpqua, most fishing is done in the 60 miles from Elkton to River Forks. The peak season is usually late December to late February. 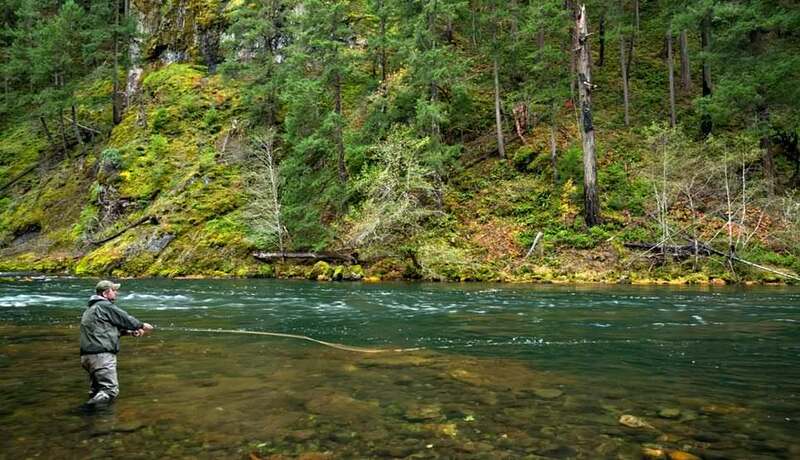 “Most of the fishing on the mainstem is done from a boat fishing plugs or side-drifting with corkies, salmon roe or yarn,” says Greg Huchko, fish biologist for the Oregon Department of Fish and Wildlife’s Umpqua District. 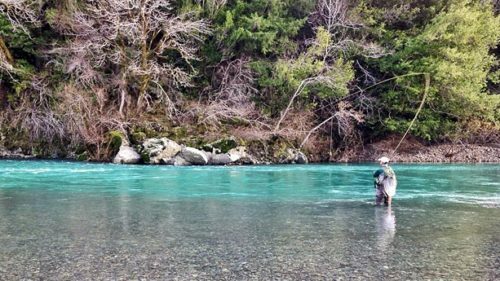 “When the water is off-color, plunking is effective.” The South Umpqua, which flows north from Canyonville to Roseburg, fishes well from early January until the end of April. (Public bank access is limited; please respect private property.) The North Umpqua can be fished from just east of Roseburg for over 50 miles upstream. Above the town of Glide, 31 miles of river are set aside for fly anglers; it’s some of the most beautiful steelhead water you will ever fish. 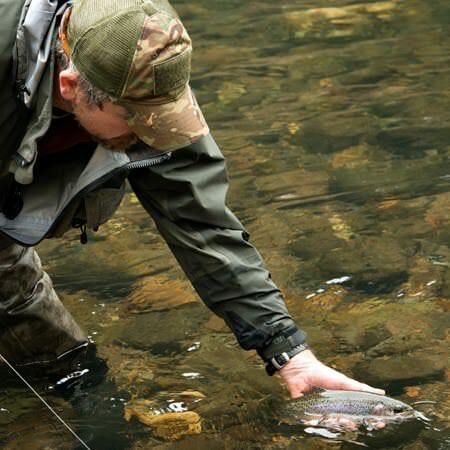 The Rogue’s famed steelhead runs first gained notoriety from the writings of western novelist Zane Grey in the 1920s. Today, anglers plying the Rogue in winter can find these hard-fighting relatives of the rainbow trout from Gold Hill to Grants Pass and beyond. Decent numbers of fish are also present in the Applegate River, which feeds the Rogue just west of Grants Pass. Productive techniques range from side-drafting to casting flies. There is also public access at many recreation areas along the river. Fish begin entering the system in December and are present in the upper river through the spring. 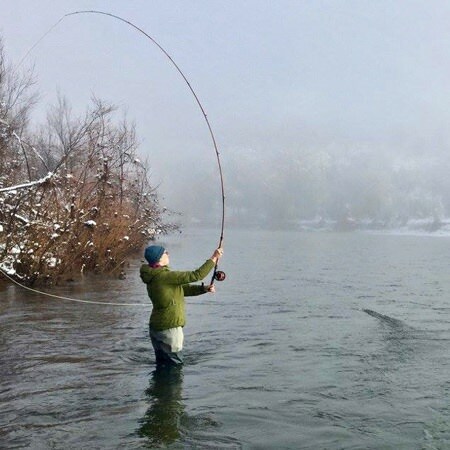 Trout anglers will find some excellent winter fishing on the Upper Rogue, above Lost Creek Reservoir (near the town of Prospect). Rainbows are your main quarry here, though brook, brown and cutthroat trout are also present. Casting spinners, spoons, PowerBait and flies can all be effective. You don’t have to head to Minnesota to find great ice fishing. 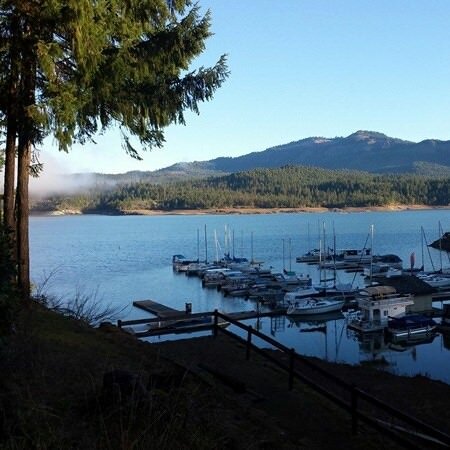 Just west of Klamath Lake, on the chillier side of the Cascade Range, you’ll find Lake of the Woods. By mid-winter, anglers can drill through the ice and fish for yellow perch in a beautiful mountain setting. 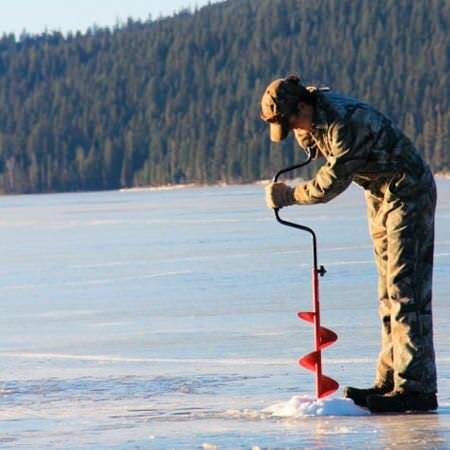 ODFW periodically offers classes for newcomers to ice fishing; visit the ODFW Calendar for coming classes. Weekend accommodations are available at Lake of the Woods Resort. 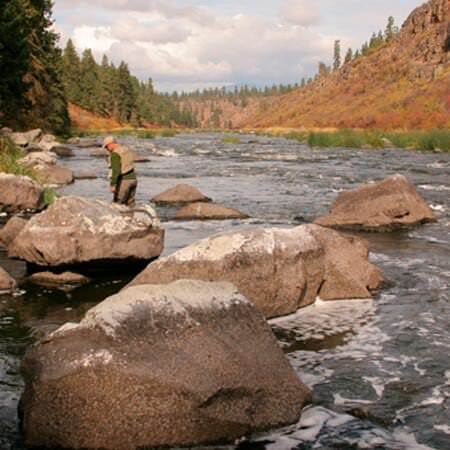 South of Klamath Falls, you’ll come upon the upper reaches of the Klamath River. Many know the Klamath, which enters the Pacific in California, for its prolific runs of salmon and steelhead, but on the stretch between Keno Dam and Topsy Reservoir, rainbow trout are your target. This boulder-strewn pocket water makes for tough fishing, but the payoff can be a trophy-size fish. 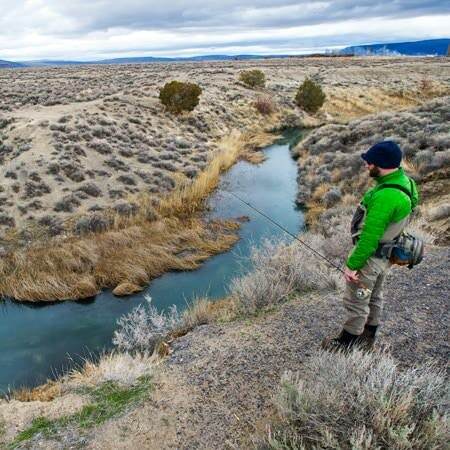 The Ana River is another great winter trout stream in south central Oregon, a few miles east of the community of Summer Lake. Great mayfly hatches throughout the winter make the Ana a favorite for fly fishers, who can cast from the banks or float the river in a pontoon boat. 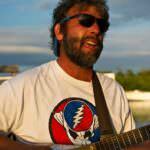 “I suggest that you stop by the Summer Lake Wildlife area to look at some birds, take a dip at the Summer Lake hot springs and match the hatch at the Ana for free rising rainbow trout,” says Bill Tinniswood, ODFW fish biologist based in Klamath Falls. Fishing regulations and license information, as well as other tips, are available at the ODFW website. 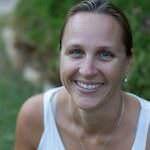 A number of professional guides are available on the Rogue and Umpqua. Winter steelhead rivers can get high and murky with winter rains — “blown out” in angler’s parlance. “The best time to fish for steelhead is when the rivers are dropping and clearing after rain,” says fish biologist Greg Huchko. It’s a good idea to monitor online weather and river forecasts for the best odds of finding the river in fishable condition. 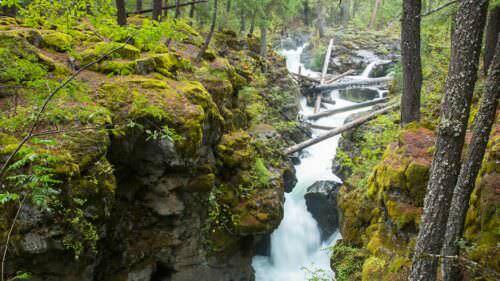 The United States Geological Survey lists water levels for many Oregon rivers.